Thank you for submitting your item for appraisal. 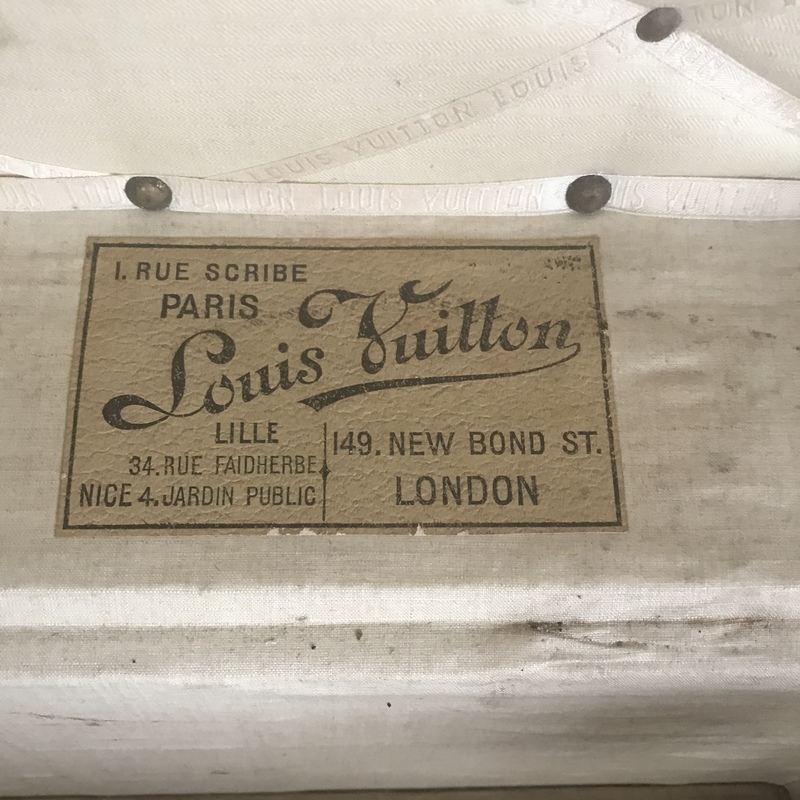 This appears to be an early 20th century Louis Vuitton suitcase or chest, with the Louis Vuitton logo embossed on the leather, with a label inside. The monogram HE 1 would indicate that the previous owner hat a set of numbered furniture. The estimate is based on similar offered or sold at auction. "Asking prices" in the trade can be higher and vary.